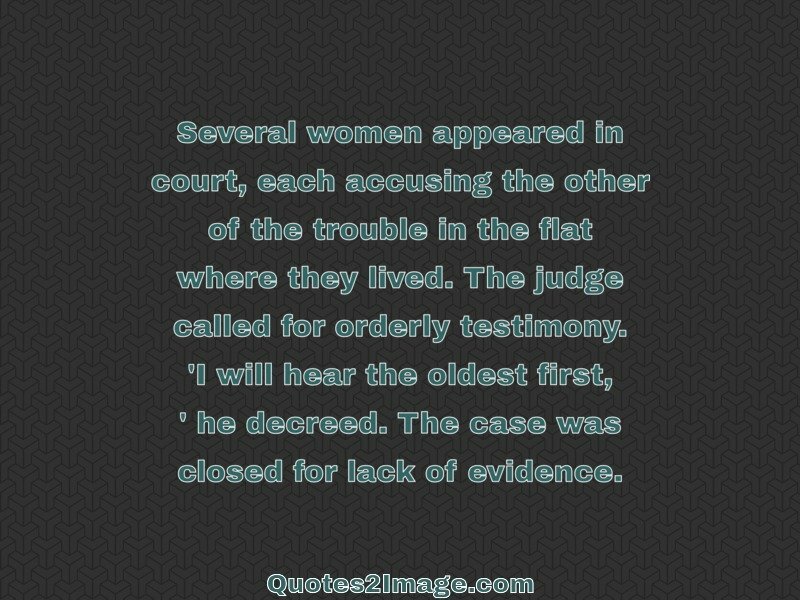 Several women appeared in court, each accusing the other of the trouble in the flat where they lived. 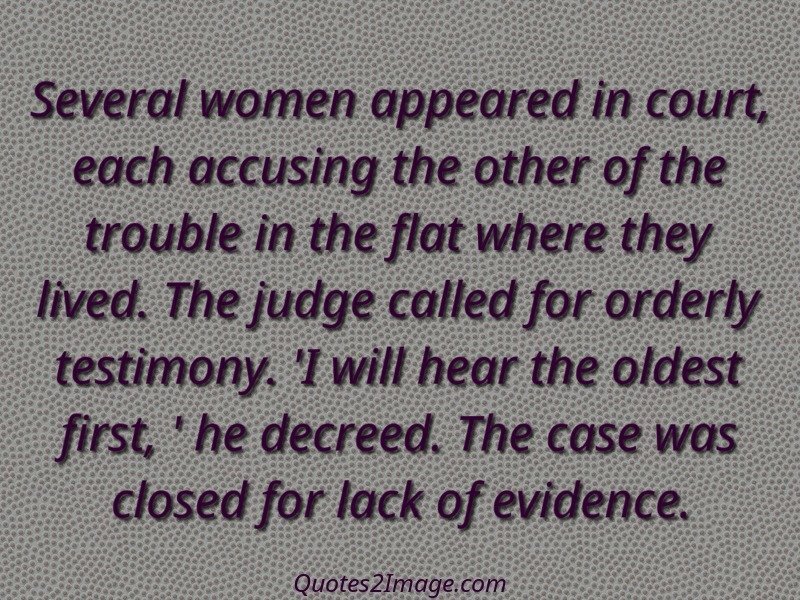 The judge called for orderly testimony. ‘I will hear the oldest first, ‘ he decreed. 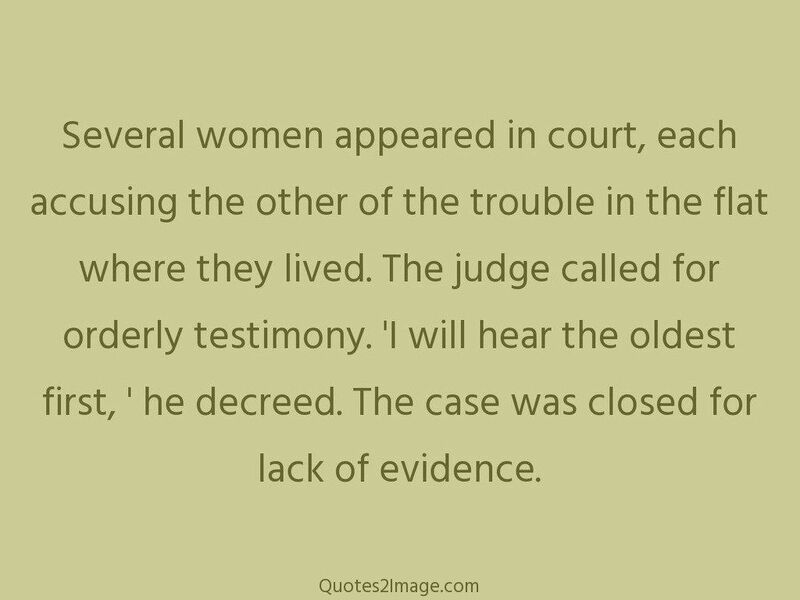 The case was closed for lack of evidence.